Skype for iPhone enables you to chat over Wi-Fi, 3G or 4G connections. With Skype, you can hold video chats or voice chats between computers, phones and tablets. Starting a Skype session between an iPhone and a Mac takes seconds and requires no special equipment, so you can get online quickly. To make the conversation go smoothly, ensure that both devices are running the latest version of Skype. At a minimum, the Mac must be running Skype 2.8 for Mac OS X and the iPhone must be running Skype 3.0 for iPhone. Before you can call a Mac from your iPhone using Skype, you and the person on the other end must be signed in. 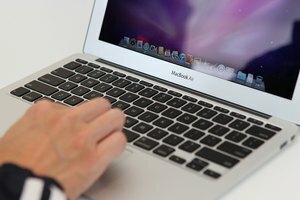 The Mac can use Wi-Fi or wired Internet. The iPhone can connect using 3G, 4G or Wi-Fi, though Skype recommends that you use Wi-Fi for the best call quality. Your contacts list contains all of the people you can call on Skype; if the Mac user is not already on your contacts list, you must add him before starting a call. From your iPhone, tap on "People" and select the blue Add icon, which has the silhouette of a person and a plus sign. Click on "Search Skype Directory" and enter the name, Skype username or email address of the person using the Mac. Choose the correct user and tap "Add contact." 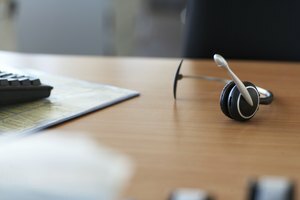 Calling a computer from your iPhone's Skype account is similar to computer-to-computer calls. Tap on "People," find the Mac user's username and tap the "Voice call" or "Video call" button to make the call. Smith, Elizabeth. "How to Skype Between an iPhone and a Mac." Synonym, https://classroom.synonym.com/skype-between-iphone-mac-10546.html. Accessed 20 April 2019.